RARE FIND and Simply Stunning! 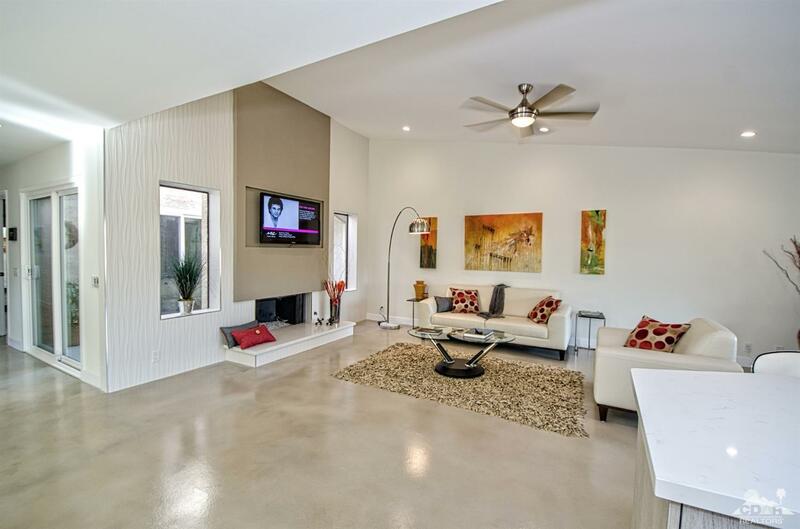 Contemporary & Completely Remodeled with meticulous attention to all details including materials, labor, construction & design that far exceed the list price. This is not a FLIP!! The improvements made cannot be replicated at this price, giving YOU an incredible opportunity and value to be the lucky owner of a finely crafted and designed home at a great value. Breathtaking southern mountain views w/spectacular sunsets. All new double pane windows /sliders, door, flooring, kitchen, kitchen island w/wine cooler, new appliances, bathrooms, vanities, fixtures, ighting, even the ceiling was raised! A Dramatic tile wall showcases the open Great Room with Fire & Ice fireplace. Serene and peaceful south facing patio invites you to relax and enjoy the panoramic mountain views. Sip your favorite beverage with fresh picked lemons or grapefruits just outside your door as their fragrant blossoms fill the air. Time is your ultimate luxury, here you spend it well!